Founded in 1981, The Ohio State College of Pharmacy Alumni Society seeks is to foster engagement between alumni, students and the college. 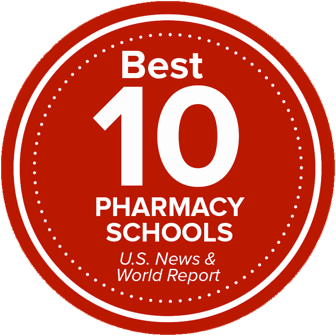 By becoming a member you are helping to continue the tradition of excellence at the College of Pharmacy, and a wealth of networking opportunities with fellow graduates. As of January 1, 2016, the Pharmacy Alumni Society has a new inclusive membership model. All graduates of the College of Pharmacy (including residencies) are automatically alumni members of the Pharmacy Alumni Society. Now, with a gift of $75 or more to any College of Pharmacy fund, alumni become a sustaining member**. This donation is tax-deductible and is good for sustaining membership in the Ohio State Alumni Association. All graduates of the College of Pharmacy (including residencies). No dues or donations required. **Lifetime Members will continue to be recognized with Pharmacy Alumni Society Sustaining Member benefits. They are not eligible for OSUAA sustaining member benefits unless a $75 donation is given. Visit the Ohio State Alumni Association website. Questions? Contact Alyssa Grovemiller at grovemiller.1@osu.edu or (614) 688-5517. Use the new alumni portal to change your address, register for events and more! Read our Alumni Society Constitution.